Hey lovelies, Happy Thursday to you!!! You've almost made it to the weekend, so just hang on tight. As I said earlier this week, Baby K and I are spending the week at my parents' house to help my Mom as she recovers from her knee replacement surgery. It's been great to get the extra family time, but we all miss Tolar. It's just not the same without him. And now for your blog reading pleasure, a list of the last things I did...because you were all wondering that, right? Show I watched: Survivor. Love that show! I've been watching it since the almost beginning and still love it some 20 plus seasons later. Thing I drank: Sunkist 10. Have you tried this stuff? Umm, amazing. It tastes just like the regular thing (if not better) and only has 10 calories. Go check it out now, your tastebuds and waistline will thank you. Book I read: Tolar and I are currently reading through The Love Dare Day by Day: A Year of Devotions for Couples and while we are apart, I'm reading it over the phone to him. I love that we are making a connection with God and each other such a priority in our lives right now. We both look forward to our evening devotional time every day. Blog I read: Living in Yellow. Erin is absolutely one of my favorite bloggers, her blog is a daily read. The girl keeps it real, funny and awesome all the time. And hop on over to her blog today because someone very familiar to you is giving away an awesome skin care product. :) And then just stay over there because Erin is, simply put, a blogging genius. Time I took a nap: If you asked me on Tuesday I would have said, its been so long I can't even remember. But my sweet little Baby K took a really long nap yesterday, giving me and Mom a chance to grab some naps ourselves. Woohoo!!!! Naps are few and far between in my life nowadays so I am VERY thankful for yesterday's afternoon nap. 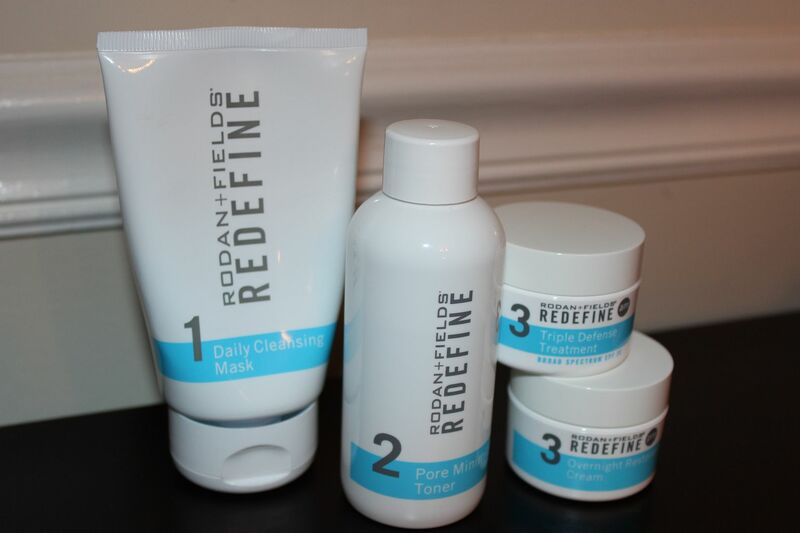 Beauty product I used: I am love with my Redefine skin care regimen from Rodan + Fields. It seriously has changed my skin; its never been this smooth, EVER. I look forward to using it each morning and night because I know my skin will get smoother with every use. Thing I ate: A super yummy chicken casserole that my Aunt Billye made. I love how helpful and loving people can be, especially as my Mom recovers from her surgery. I came to stay with her to help her cook, clean and do her exercises and I really am not having to cook at all. So many loving people have come over to visit my Mom and to bring food for the family to allow her to rest. A nap sounds glorious, what a sweet baby girl to let you fit in one!! ;). Love that picture of her!! I need to look in to the soda. I don't drink a lot of soda but when I do want on. That will be pretty to have. Great Minds...I did a very similar post today! 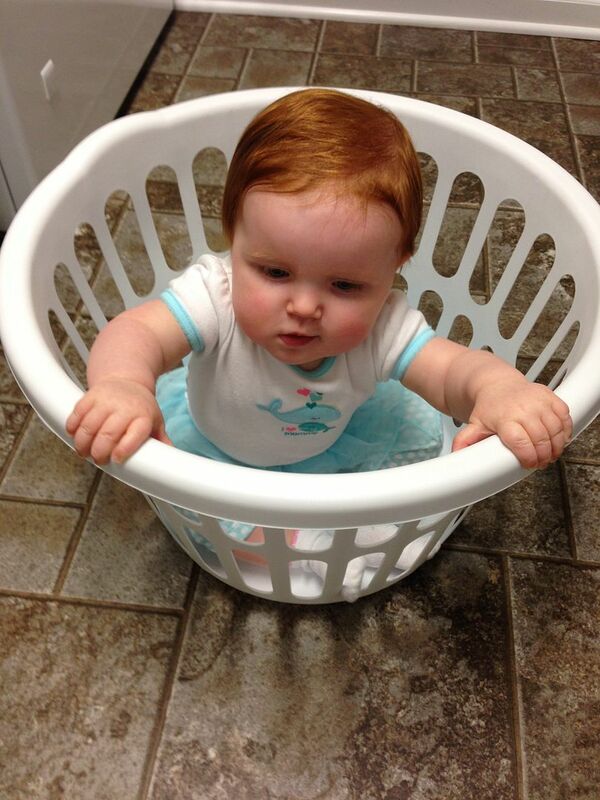 Love Baby K in the laundry basket. Too cute! I need to look into this skin care stuff!!! Hope all is ok with your mom's surgery. Please send everyone our love! I am obsessed with Survivor too! I've watched almost every season, with the exception of one or two when I was in college. My husband and I get so excited for Wednesday nights. It's just so unpredictable and entertaining! I LOVE survivor. i have watched every single season!! Oh my GOSH! You seriously made my day because I didn't realize it was SO close to the weekend.... finally!! This has felt like the longest week ever! I MUST check out that skin care line! My skin has been freaking out on me lately and I'm not loving it! Love that picture of baby K. She's the cutest!